There is a new $0.50/1 Betty Crocker Mashed Potatoes,Ibotta Credit available. Walmart sells the Betty Crocker potatoes pouches for $0.77. Pay Only $0.27 after coupon. Pay Only $0.27 after coupon. Print a Coupon to save $0.50/5 Yoplait Yogurt Cups. Walmart sells the Yoplait Yogurt cups for as low as $0.50 each. Buy 5 and pay ONLY $0.40 after coupon. 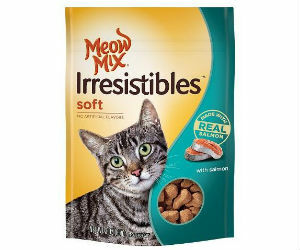 Meow Mix – $0.55 Off Irresistibles Cat Treats Coupon, Pay $0.95! Print a NEW Coupon to save $0.55 off Meow Mix Irresistibles Cat Treats. Target, Walmart and Petsmart have the 3oz treat bags for $1.50. Pay ONLY $0.95 each with coupon! 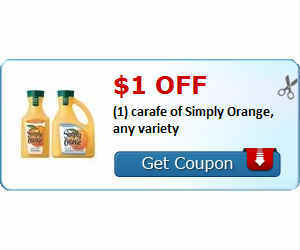 Print a Hot new coupon to save $1 Off 1 Simply Orange Juice 59 oz +. Walmart sells the 59oz Simply Orange for $3. Pay ONLY $2 with coupon! Print a Coupon to save $1.00 off 1 Farm Rich Snacks Product. Walmart Sells the Cheese bites and pretzel bites for $4.98. Pay Only $3.98 with coupon! Free Cruex Nail Treatment with Coupon! Click here for Full-Value Cruex Nail coupon at any Walmart. Print a New Coupon to save $4.00 off CeraVe Healing Ointment. Walmart sells the CeraVe Healing Ointment for as low as $3.73. Get it for FREE with Coupon. Scotties Tissues for 67 cents! Scotties – $1.00 Off 3 Tissue Coupon, Pay Only $0.67 each! Print a New Coupon to Save $1 Off 3 Scotties Tissue. Just Vote for your favorite video to get the Scotties coupon! The 70ct Tissue boxes sell for $1 at Walmart & Dollar Tree, Pay $0.67 each with coupon! Print a New coupon to save $0.75 off (1) Bridgford Frozen Rolls Bread Dough. Walmart sells the Bridgford: Cinnamon Pull-Apart Monkey Bread for $2.88. Pay $2.13 with new coupon.